Are cows killing the reef? Despite its iconic status, the reef is under extreme threat. Related to the first point, dumping of dredged material. Also related to the first point, increased shipping frequency. 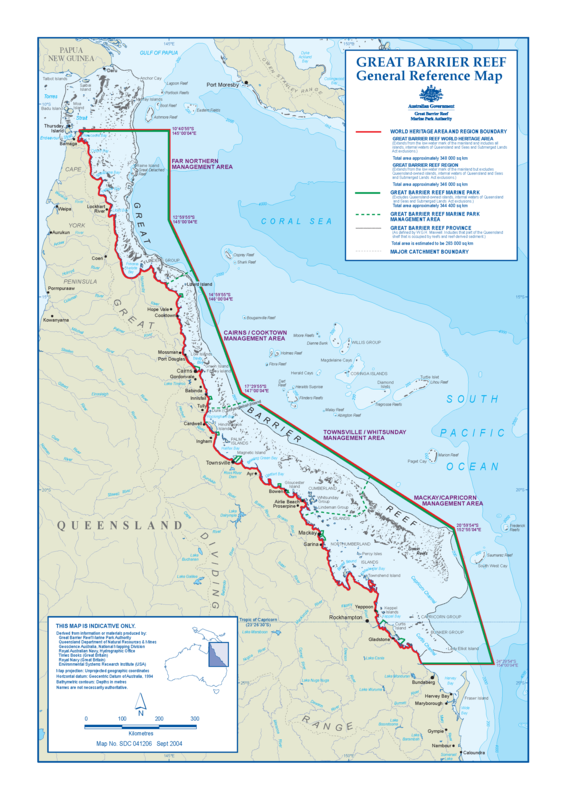 A key recent development in respect of dredging and dumping was the decision of the Great Barrier Reef Marine Park Authority (GBRMPA), in January, 2014, to approve the dumping of sediment from dredging in relation to the massive Abbot Point port project. Dredging, dumping and climate change are significant aspects of what appears to be unrelenting pressure on the Great Barrier Reef. However, what if they not the key problems? Could cattle grazing be the biggest problem? The World Preservation Foundation serves “as an access-point for information to assist media and concerned parties to engage” the topic of climate change, including deforestation, disease, drought and global hunger. “We know that as the oceans grow more acidic this weakens calcium formation of shells and coral. Also, much has been said on the outbreaks of crown-of-thorns starfish – these voracious creatures eat live coral, leaving behind white, dead coral, that soon turns green as algae make it their new home. But the real reasons for the degradation of this amazing reef (including the reason for outbreaks of starfish numbers) have now been well studied,  and found not to be climate change, but pollution, mainly from the Burdekin and Fitzroy rivers, the largest rivers flowing onto the reef. An interactive presentation released by The Guardian in March, 2014 neglected to mention cattle grazing. It referred to farming, including run-off of sediment and chemicals, but only in relation to sugarcane. In addition to the run-off caused by animal agriculture, the sector’s significant contribution to greenhouse gas emissions is also affecting the reef through its climate change impacts. However, Mr Christensen is a staunch supporter of the beef cattle industry, as demonstrated by the fact that he established a “Free Meat Week” campaign  in an effort to counter “Meat Free Week” , from 24th to 30th March, 2014. Christensen’s electorate includes various industries, such as: small crops; prawn and fish farms; sugar growing and refining; beef cattle; coal mining related industries; abattoirs; and tourism. However, tourism may be left behind if Christensen maintains his current approach. It’s possible that he is unaware of the industry’s impact on the reef, but his actions conjure memories of former Queensland Premier (1968-1987), Joh Bjelke-Petersen. The former Premier was linked to environmental degradation resulting from beef cattle and other agricultural industries. According to the Wilderness Society, “In the 1950s a young Joh Bjelke-Petersen came up with the idea of using an enormous chain strung between two tractors to drag down great swathes of bushland.”  Broadscale land clearing occurred on a massive scale in Queensland for many years, most significantly for the beef cattle industry, until the Labor Government banned such clearing with effect from the end of 2006. There are many factors contributing to the demise of the Great Barrier Reef Marine Park’s magnificent corals. It is possible that any of those factors, in their own right, could destroy them. All must be addressed, including our continued utilisation of animal agriculture, particularly beef production. It is our choice, and the time to act is now! Save the reef! Excellent work Paul!